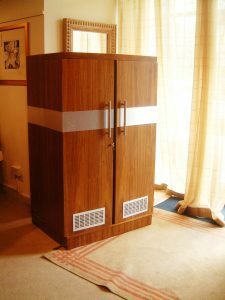 We all use our homes for socialising from time to time and now, more than ever we are dedicating specific areas in which to relax with friends and family. 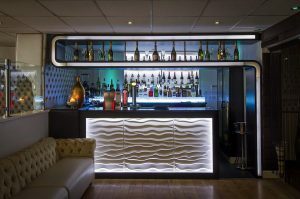 If a home bar conjures up visions of Del Boy’s tacky little cocktail bar, let’s say, less than sophisticated, then think again. 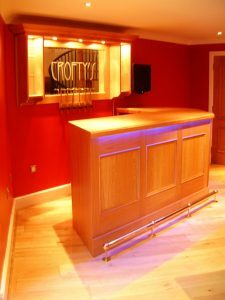 A home bar can be many things, from a free-standing cabinet such as this stunning Handmade bar cabinet in Alderley Edge to the complete set up like this Deep Buttoned Home Bar in Hale Barnes with glass washer and beer coolers. 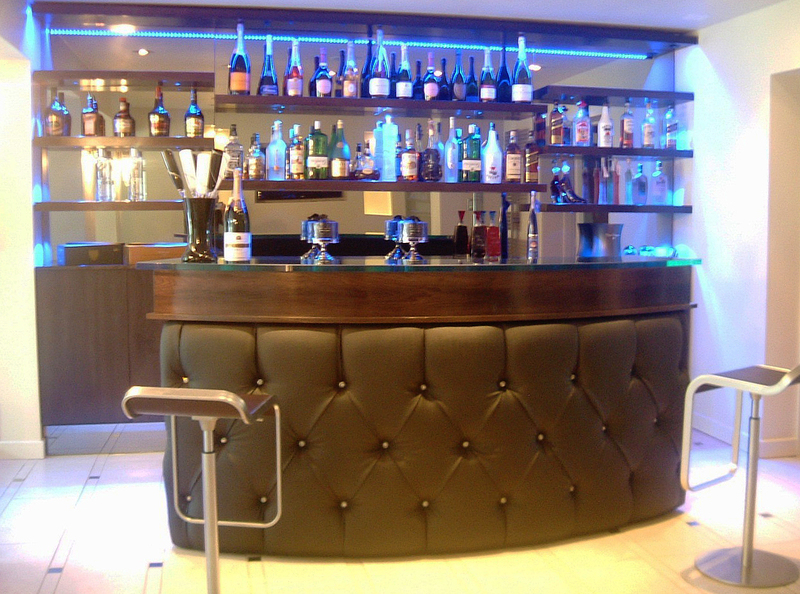 Jacob Furniture UK have designed and produced a good number of commercial and home bars and this experience will help in creating your perfect private watering hole. You will however have to give it some input. How much space do you have and just how popular are you? Meaning, how many are we catering for and how often? Is it the ‘lads’ wanting ice cold beers and a big screen to watch the football, or will the ladies be joining us for the Gin Bar or Prosecco? Once we’ve answered the practicalities, it’s then all about the look. This is the lovely, self-indulgent and fun part of the project. 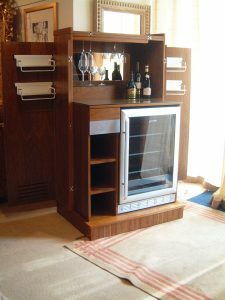 A visit to the workshops and showroom at Jacob Furniture in Stockton Heath, Warrington will open your eyes to the endless possibilities of shapes, finishes, styles and materials available. Newer PostEverything Including the kitchen sink!